Since 2006, ARM, through the street school replication project, has been introducing their street school concept in slums of Karachi. 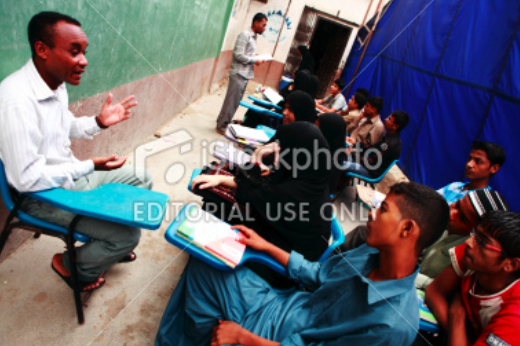 There are 60 street schools in the Lyari area operating on the “Each One, Teach One” model. In addition to running street schools, ARM has also educated 5,362 female students in 282 home schools run by women and aimed at the women of the community. Great work, Majid. Now just nab Arshad Pappu and you’ve got more good news. Once upon a time, I saw a really informative TV program about boxing training centers in Lyari. They had well-equipped gyms and their professional approach to training was simply marvelous. I couldn’t believe at first that there would be such a center in Lyari, but then that’s when I realized I was playing into a perceptional bias about Lyari as a whole, which was wrong indeed.